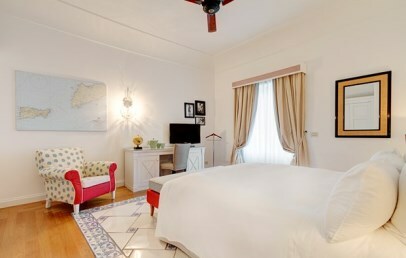 The Capri Tiberio Palace is located in a privileged position in the heart of the island of Capri, just a few minutes away from the well-known Piazzetta. 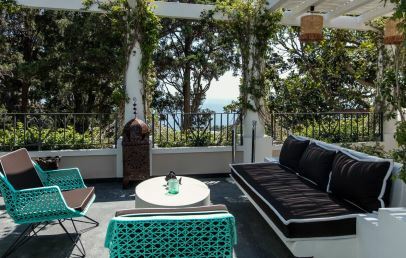 Guests can enjoy here a breathtaking view over the sea of Marina Piccola and the white roofs of Capri. 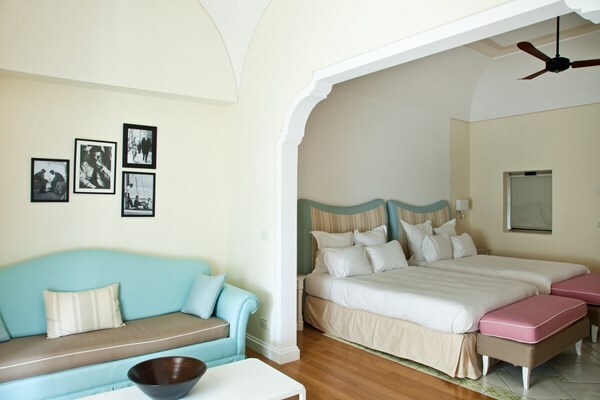 The last restyling has redesigned the style of Capri Tiberio Palace Hotel, which has now become even more modern and exclusive, without losing its identity tied to Capri. The renewal was in fact inspired by the scents and colors of the island, mixing these elements with other ones more modern and innovative. The atmosphere of Capri as a crossroads of the world and a meeting place for artists and travelers has been revised and presented in a contemporary way, with references to design and modern lifestyle. 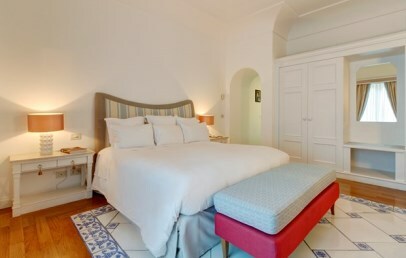 The 46 rooms are carefully furnished, with a perfect balance of colors in shades of blue, yellow, coral and some soft shades, and with a mix of materials such as tile polychrome majolica. They are divided into different categories: Smart, Superior, Deluxe, Junior Suite, Terrace Suite, One Bedroom Suite and Bellevue Suite. The flagship is the Bellevue Suite with the One Bedroom Suite, a collection of luxury apartments elegantly furnished. 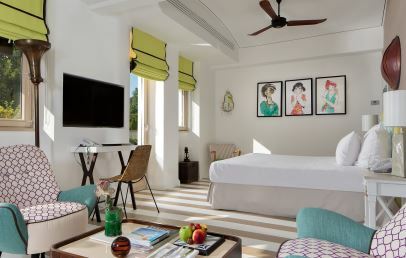 The Bellevue Suite is connected to the Mojito Terrace, which offers 360-degree views of the sea, the mountain of Capri and the roofs of the city. The Spa Tiberio is spread over an area of 1200 sqm divided on two levels: an oasis of wellness where guests of Capri Tiberio Palace can choose from a wide range of cutting-edge treatments and products. Among the various proposals, a water path, an hydrotherapy path, a treatment area, a Spa Duo area reserved to couples. The body and face products are by the Sodashi line, which offers a wide range of spa products based on natural ingredients not tested on animals, prepared without the use of chemical additives, preservatives and fragrances, 100% natural. The Terrazza Tiberio is known for its perfect mix between traditional cooking and experimenting of new delicious recipes. The exquisite dishes are accompanied by a careful selection of wines in an private and elegant atmosphere. The restaurant has 80 seats, divided between the main room and the wonderful terrace in contemporary chic style. 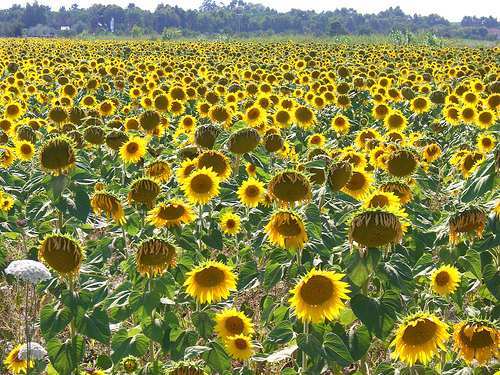 The menu offers a regional and Mediterranean cuisine. The restaurant offers also a menu for customers of the Jewish religion, with kosher certification, served in a reserved area of the restaurant. The Jacky Lounge Bar, with its extraordinary graphic decorations that recall the Cotton Club and the Cuba of the '60s, welcomes its guests in a design and relaxing setting, a place where it’s possible to savour a snack or a drink listening to lounge music or live music. For relaxing moments, a In&Outdoor swimming pool is available for the guests. 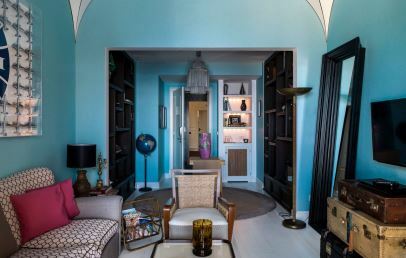 The Capri Tiberio Palace is pleased to offer guests an exclusive library realized with publications by Taschen, with works whose themes range from cinema to architecture, photography and art. Very large Junior Suite ideal for a family holiday or for friends (4 pax). 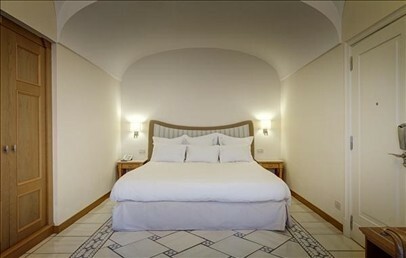 They provide white furnishings, separate wardrobe and bathroom, with mosaic and travertine marble, bathtub with shower. The Junior Suite present large windows or balconies with a lovely view over the garden. 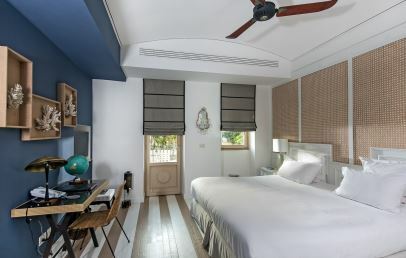 Elegant double room characterized by wooden and majolica inlays floor, pastel tones walls, white furniture and separate wardrobe. The en-suite bathroom with mosaic and travertine marble has a bathtub with shower. All Superior rooms present a nice balcony with hill or Capri view. 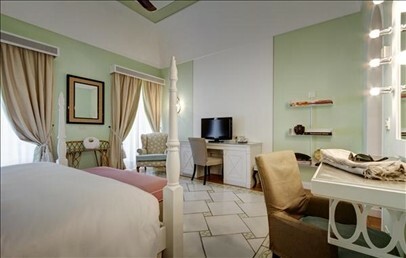 Comfortable double room characterized by a regency style and perfected in all details. It is elegantly decorated and has an en-suite bathroom (with ceramic tiles or mosaic travertine marble) with shower. All Smart rooms have a courtyard view. 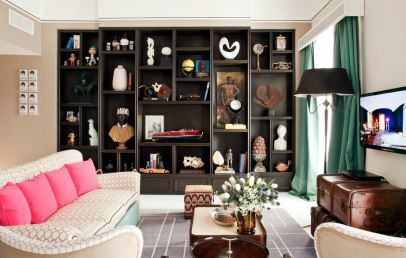 Elegant, large and comfortable double room characterized by colorful and eclectic furniture. The en-suite bathroom with mosaic and travertine marble has a bathtub with shower. All Deluxe rooms present a spacious balcony with mountain or garden view. 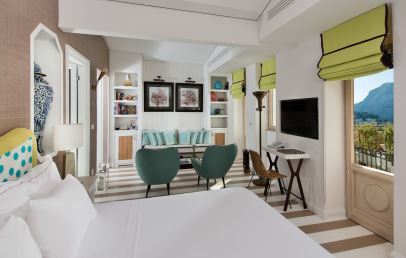 Very large Junior Suites characterized by white furnishings and sitting area. They provide an en-suite bathroom, with mosaic and travertine marble, bathtub and shower. 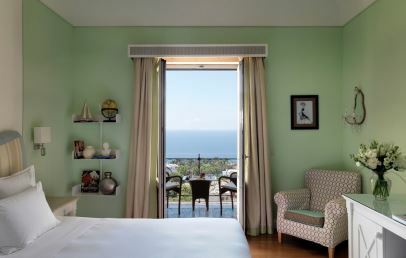 The Junior Suite present a wonderful balcony with a beautiful sea view. 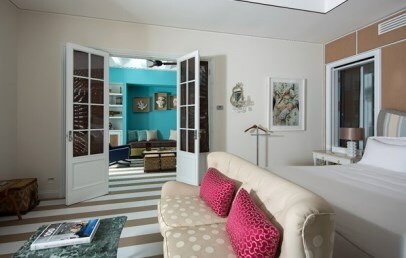 Exclusive Suites characterized by a romantic style with a touch reminding back to Capri in the ’50. It provides walk-in closet or a large wardrobe, vanity desk and sitting area. The en-suite bathroom, with mosaic and travertine marble, has both bathtub and shower. The Suite faces a large terrace refined with a patchwork of typical tiles from Amalfi coast and equipped with a sofa, armchairs and table. 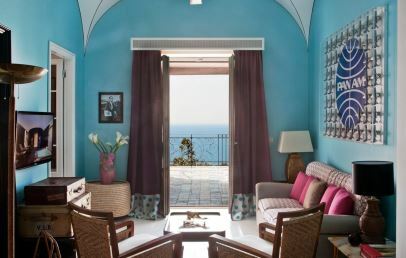 The Suite enjoys a spectacular view over Capri and the sea. 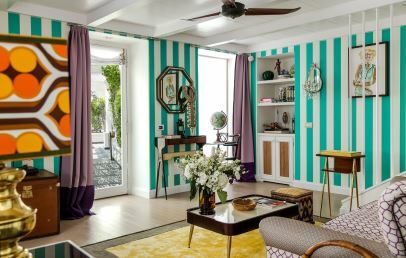 Elegant and comfortable double room characterized by colorful and eclectic furniture, with majolica floors and pastel tones walls. The en-suite bathroom with mosaic and travertine marble has a bathtub or a shower. All Deluxe rooms present a spacious balcony with sea view. 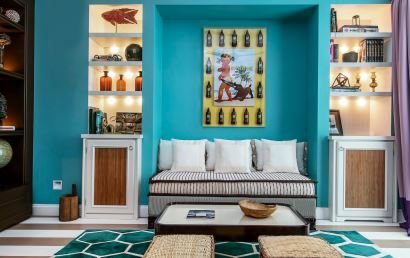 Large and bright Suites characterized by contemporary, luxury and eclectic style with a touch reminding back to Capri in the ’50. It consists of a living area and en-suite bathroom with both bathtub and double shower. The One bedroom Suite faces a panoramic view terrace.